On March 17, the 10th weekly regular managers meeting of Zenith Industrial Park was held as scheduled. In the meeting, the head of Zenith Industrial Park Mr. Li mainly reported the strategic arrangement and planning of 2014 in respect of the Park. It is learned that Qidong Industrial Park will have a round of full upgrading in 2014. It is reported that Qidong Industrial Park will further optimize and improve the key products in 2014. 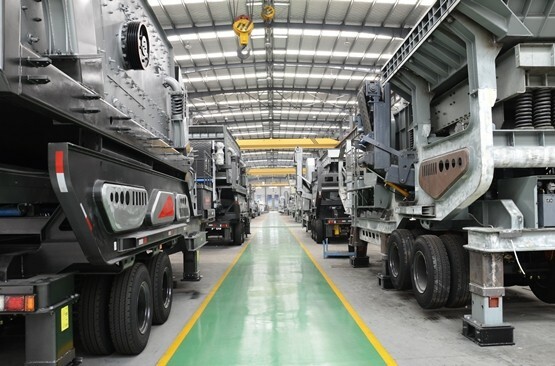 Among these, the mobile crushing and screening plants will be fully upgraded of their product quality, output, productivity reserve and term of delivery etc. At the same time, it is expected that the upgrading of second generation of mobile stations and crawler-type mobile crushing stations will be accomplished in the first half of the year. “Besides the major products, we have upgraded and refined every single detail of production, logistics and quality inspection. At present, the relevant improvement measures are orderly carried out and it is believed that while improving the product quality, our clients who come for inspection will experience our more professional products and services with higher quality”, the head of Qidong Industrial Garden Mr. Li said.